In a move that caught many by surprise, the state of Tennessee has declared its outsourcing contract with Jones Lang La Salle as effective today, Friday, May 26. 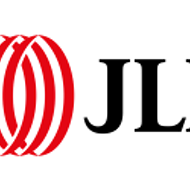 If all major campuses opt into the contract, roughly 10,000 state worker jobs will be privatized to JLL, a global corporate real estate management company that contracts with properties and institutions all over the world. Seventeen state representatives had requested individualized economic impact statements the contract would have on their districts. The Department of General Services released one response to all 17. The response was generic, with few specifics. Representative J.R. Clemmons called the lack of specifics "inexcusable." In all, there were 45 questions by representatives submitted to the state comptroller regarding the JLL contract. It is unknown at this point whether the comptroller has responded to any of those questions. State Representative Bo Mitchell said that he has not received any additional information specific to his district and the potential impact of the outsourcing. "This is all about corporate greed," he said. "We know that privatization doesn't save the state money." More information to come on this story as we learn it.